In November 2015, long-time Microsoft Windows engineering leader Joe Belfiore took a sabbatical so he could spend the better part of a year to sail the world with his family in the Semester at Sea educational cruise program. “I left, I was gone, it was a great experience,” Belfiore tells Business Insider. After a limited, quiet return to Microsoft in the fall of 2016, Belfiore officially stepped back into the job in April 2017, taking the new title Corporate VP of Windows, and adding new responsibilities as an advisor to the education business. His absence was keenly felt. As a 27-year veteran of the company, Belfiore is the face of Microsoft to many of the developers and partners building on the tech titan’s platforms. He oversees everything from the Microsoft Edge browser to the design and user experience of Windows 10 and Microsoft’s struggling Windows phones. Now that he’s back, he says, he’s ready for action, with a new focus and a new perspective on where Windows fits into the bigger picture: “I came back with renewed energy,” Belfiore says. Which brings us to this week’s Microsoft Build conference in Seattle, where top execs Belfiore and Terry Myerson unveiled the Fall Creators Update, a forthcoming upgrade that will see Windows 10 integrate more tightly with Google’s Android and Apple’s iOS, with features to let you start working on your PC and pick back up on your phone. MicrosoftA slide from Microsoft Build 2017. “We’re going to continue to support Windows Phone,” says Belfiore. But Windows is opening up its borders a little bit, in recognition of the realities that people are using multiple devices running on a variety of operating systems. The key, Belfiore says, is to remember that Windows 10 exists to help people be productive and creative. People work on multiple different devices, Belfiore says, but the PC is still where people sit down to do really intensive work, whatever that work happens to be. “It sounds like a cliche, but it’s a tool that helps people be their creative selves,” says Belfiore. A major focus at Build this week was the Microsoft Graph — basically, a system to track the relationships between your files, apps, and devices, letting outside apps tap into your Outlook calendar or get insight into who are the top contributors to your shared customer database files. 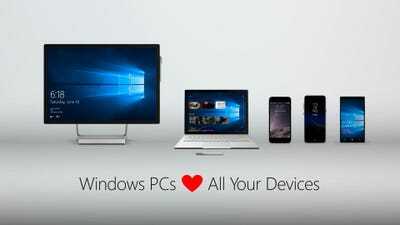 Microsoft sees it as the figurative glue between your devices. To Belfiore, Windows 10 is the “center” of that graph, which he calls a “partnership” between devices and the cloud. It’s where Microsoft has the most control, and it’s where Cortana makes its “best home.” And so, Windows is where the company can make sure that your digital life is most plugged into the Microsoft Graph. 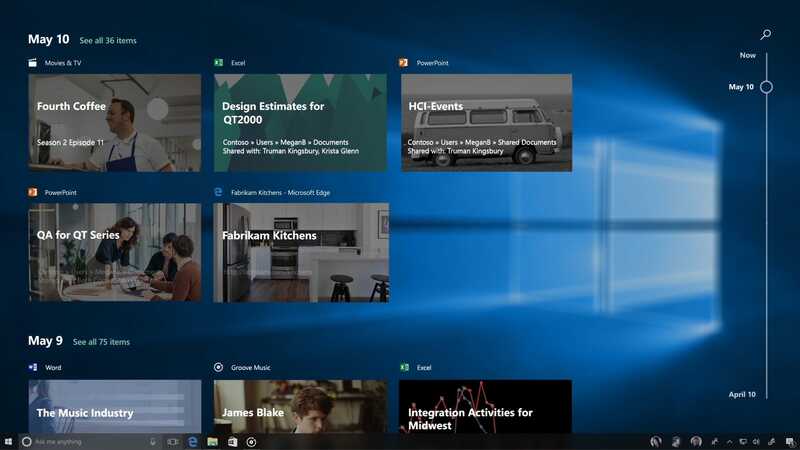 For instance, that forthcoming Fall Creators Update adds a new feature called “Timeline,” which feeds data into the Microsoft Graph about the apps you were using and sites you were visiting at any time during the day and pick up where you left off, across Windows 10, iPhone, and Android. The more you use Windows 10, the more useful you’ll find it on Android and iPhone, and vice versa. “[Windows 10] flows data into the graph, it consumes data from that graph,” says Belfiore. The world is slowly, but surely, moving beyond just the PC and smartphone. As processing power gets cheaper, the cloud gets more powerful, and artificial intelligence gets smarter, we’re seeing all kinds of nifty new applications for computers: From cheap tablet PCs, to self-driving cars, to AI-powered security systems, to the augmented reality future promised by Facebook and Microsoft itself. “[Computers] used to be small rectangles, now it’s this whole thing,” says Belfiore. To that point, Belfiore showed off a little of Fluent on the Build stage. In a demo, he was able to fully navigate Windows 10 with a Surface Pen stylus, scribbling what he wanted to search for into Bing and copying the text he found into a Word document. The idea, Belfiore says, is that you can no longer just assume users have a mouse and keyboard. 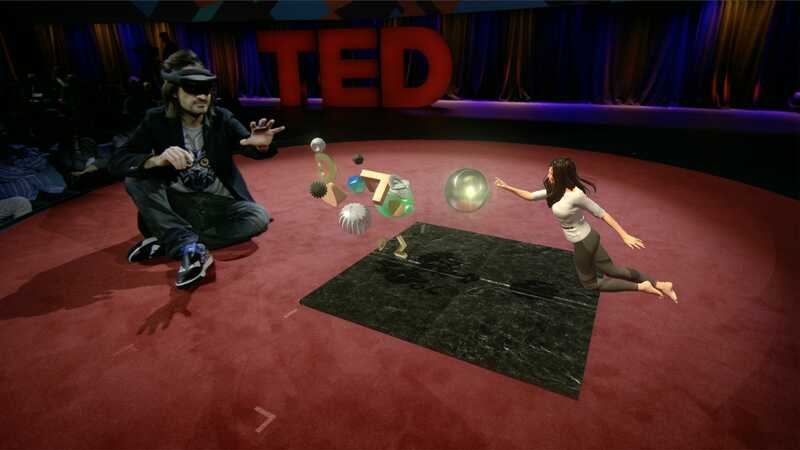 Looking more to the future, says Belfiore, a major focus for Fluent is “depth.” When you’re wearing the HoloLens holographic goggles, the traditional Windows interface doesn’t really cut it, designed as it was for two-dimensional monitors and screens. With this new design sensibility, Microsoft is trying to think more about how software “moves” in three-dimensional space, keeping things consistent no matter what device you’re using. TEDMicrosoft Fluent is a play to make sure Windows stays useful and consistent, even if you’re using it on devices like the Microsoft HoloLens goggles. In short, today, Microsoft is making Windows a better friend to Apple and Android. But to Belfiore, it’s part of the roadmap to make sure that Windows stays relevant, useful, and consistent amid a turbulent tech industry. And, eventually, if Mark Zuckerberg’s predictions do come true and augmented reality replaces the phone, Microsoft is ready to make Windows a part of that world, too. “That’s the aspirational ecosystem,” says Belfiore.